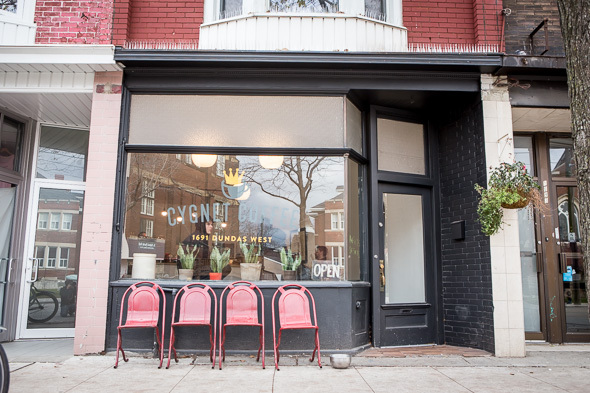 Cygnet Coffee is an elegant little coffee shop in Brockton Village that's replaced Someone , a turn-of-the-century letterpress shop on Dundas West . 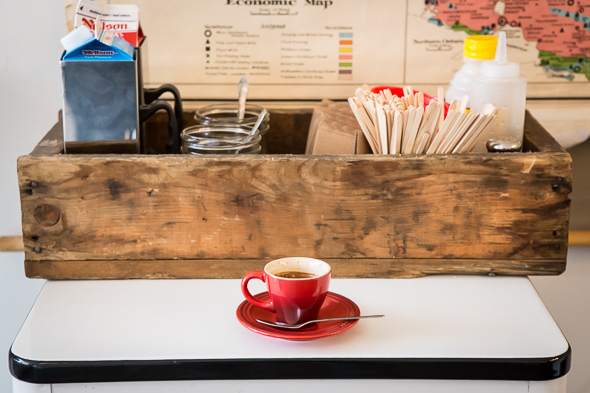 First-time cafe owner Stephanie Hinton and her partner have revived the cozy space with fresh white tiles, retro dĂŠcor, top notch coffee, and heartwarming snacks. Looking out toward St. Helen's Roman Catholic Church, Cygnet is a nostalgic cafe in the thick of European sports bars, art galleries and cute bars. Named after "Young Swan," it brings a whimsical charm to an inviting and minimalist space. Glass swans add a graceful first impression, while vintage maps of Ontario and pots of Mother-In-Law's Tongue that line the street-facing window add to the charm. 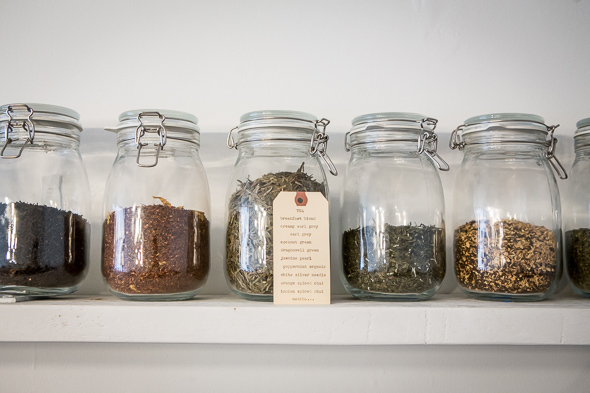 It's as quirky as it is quaint. 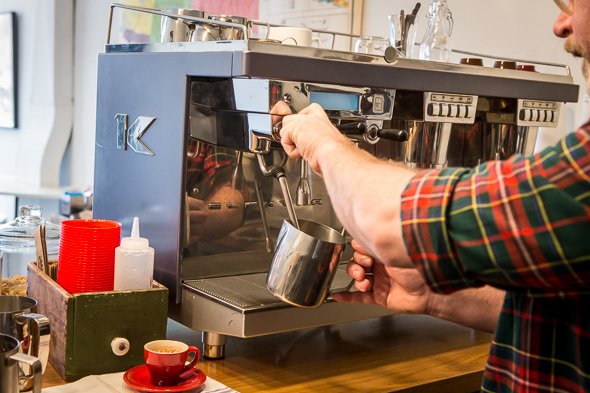 The cafe has already attracted a loyal following, even as the devoted patrons of Brazil Bakery and Pastry still flock through its doors for a caffeine fix at the expense of the newcomer. Still, I notice lots of neighbourhood conversations as customers come and go. Clearly this place is on the way to becoming a community hub. 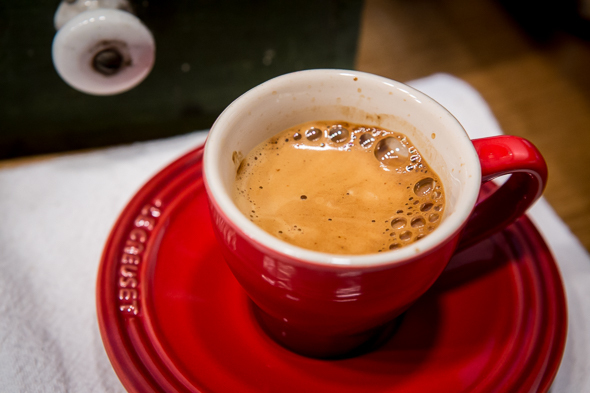 Cygnet serves beans from Hale Coffee Company - the first west side outpost for Hale in addition to Crosstown Coffee and other locations eastbound. Limited seating and plug outlets attract in-and-out coffee-goers looking for quick caffeinating between meetings, errands or Dundas West wanderings. 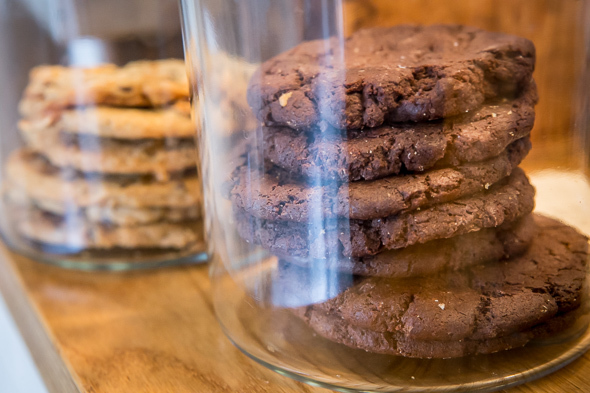 Served fresh from La Bambouche , Red Bench and Majorelle, a sweet selection of $4 scones (mango cardamom, raspberry white chocolate), $2 cookies (brookie, ginger molasses & s'more) and $2.75 muffins (morning glory and banana chocolate chip) are your snacking options. Some are gluten free. 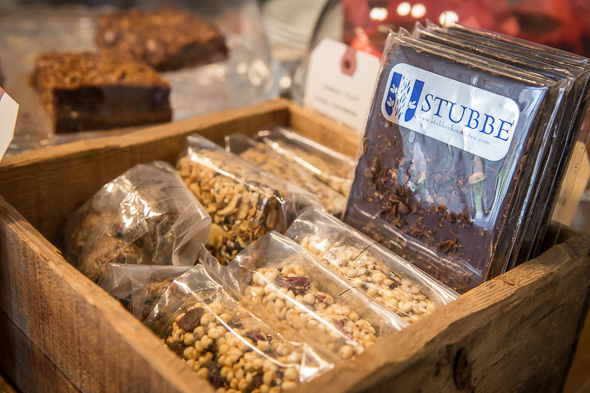 There's also a healthy selection of granola bars ($4), energy balls ($4) and puffed millet bars ($3.50).